The Challenge: To create something with a blank tin, preferably using materials already on hand. 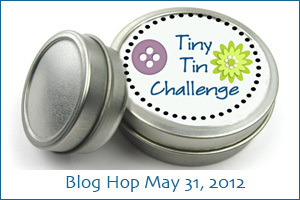 Twenty bloggers took up the challenge and today is the unveiling of twenty funky tiny tins! Wacky Time reminds us not to take time too seriously. Time gracefully unfolds her petals revealing a rotational dance; moonrise, sunset…time holds magical space. Looking into the face of time we fail to bear witness to the gift, instead we see our own confusion reflected back to us–the ridiculous self-imposed constraints, deadlines, and obligations with which we fill our days. Okay, so this didn’t come out the way I pictured in my mind. If I were to do it again I would use paint pens instead of cheap paint brushes. Not everything works the first time around…that’s okay; the important thing is to give it a try. 1 plastic, battery operated clock. Disassembled and reassembled using the tin as the clock face. Disassemble clock to insure backing will fit inside your tiny tin. Mark the spot for the pin that hold the clock hands. Drill the whole. File any sharp edges. Create your Sculpy form directly on the tin cover. Be sure to check that Sculpy form does not interfere with replacement of the tin bottom. Bake cover for the required time to harden clay. 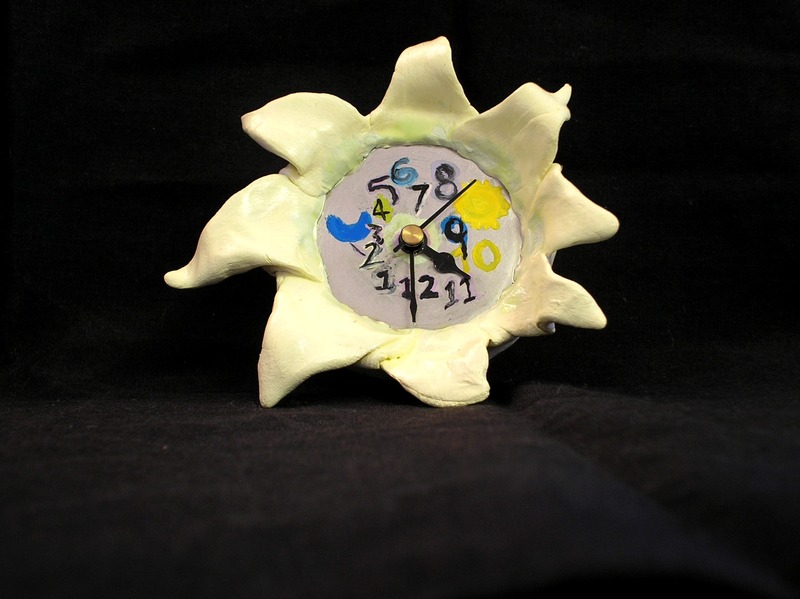 Once cover has cooled, paint your sculpture and clock face. Allow to dry completely before applying sealant. Apply sealant. Allow to dry completely. Insert battery into clock and snap the cover back onto the tin bottom. Check ‘em out! Please visit these crafty participants to see more Tiny Tin art. A big Thank You to Michelle Mach at Beads & Books for hosting this challenge! What would you do with a tiny tin? What are your favorite memories from childhood? Closing my eyes, I ponder this question. The soft whoosing of water spraying under the creosote bush takes me back to summer days spent running through the sprinklers. 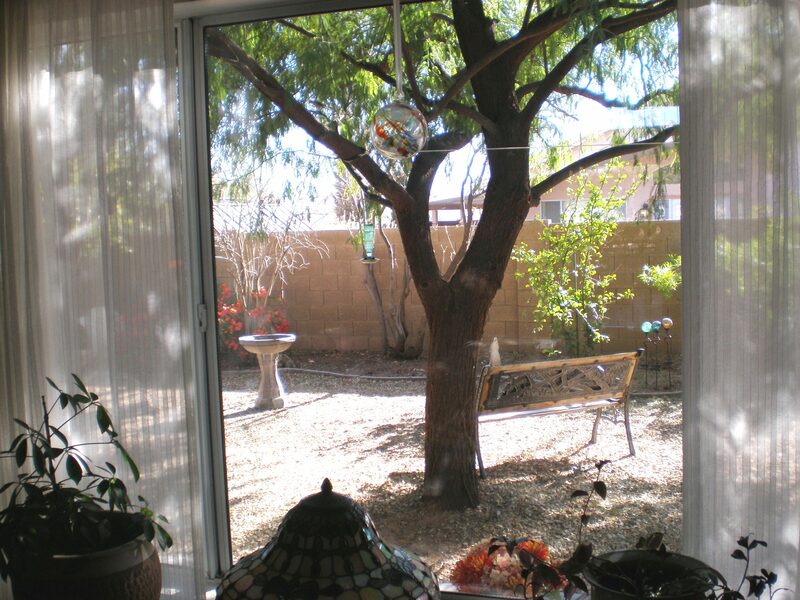 Mom would have made frozen orange juice bars and Dad would be preparing the grill for a dinner on the patio. Breathe, what else comes to mind? The excitement and awe of kittens being born. The soft hummm, click-click-click of the sewing machine. I wrote today’s post as part of the WOW-Women on Writing’s “Everybody’s Talking About Favorite Childhood Memories” mass-blogging event celebrating the release of Finding Emma by Steena Holmes (www.steenaholmes.com). Steena is a woman who believes that ‘in the end, all things succumb…to the passions of your heart’. Steena’s life revolves around her family, friends and fiction. Add some chocolate into the mix and she’s living the good life. She took those passions and made them a dream come true by pouring her heart into each of her stories. 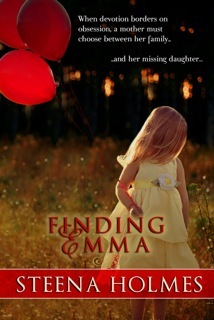 Finding Emma has quickly become a bestseller. Proceeds from each book will be donated to The Missing Children’s Society of Canada – an organization dedicated to reuniting families. Visit www.mcsc.ca for more information. If you comment on today’s post on this blog or any of the others participating the “Everybody’s Talking About Favorite Childhood Memories” day, you’ll be entered to win a signed copy of Finding Emma! To read Steena’s about childhood memories and view a list of other blogs participating in the “Everybody’s Talking About Favorite Childhood Memories” day please visit The Muffin. What is it that makes your life poetic? How do you find beauty in every day? What is the art to loving your life? To celebrate the release of Chique Secrets of Dolce Amore by Barbara Conelli, and to celebrate life, WOW! is hosting an “Art of Loving Your Life” tour. Bloggers everywhere will be posting their thoughts on finding beauty and balance. The plane has already lifted but you can view the list of stops over at The Muffin. Last stop will be A Ponderance of Things on June 22! At each stop, leave your comment. At the end of the tour one winner will be chosen to receive a signed copy of Chique Secrets of Dolce Amore by Barbara Conelli. See you here on the 22nd! I received this via a newsletter from Patti Digh at 37 Days. Every year it sneaks up on you and you find yourself resorting to the same old Mother’s Day gifts—flowers, brunch, a gift card… Why not do something different this year? Here are four ideas to start with; I invite you to share your own ideas in the comments section! An old straw hat or a decorative hat purchased in the in the floral department at your local craft store. Small amount of sphagnum moss, available at the craft store. Turn the hat upside down and line the inside with plastic. Cover the surface with sphagnum moss. Plain stationery sheets from your local office supply store or handmade paper from a specialty paper supplier. Paint pens, colored pencils, or stencil paints available in the scrapbooking section of your local craft store. For a classic look simply paint a thin line of gold, or any solid color, around the edge of each page. Once the pages are dry simply stack them and tie with the ribbon. Go full “girly” with a mother-daughter tea party and share a bit of creative time together! Keep it simple with hot or iced tea (or punch), finger sandwiches, sliced fruits and cupcakes. The entertainment: Making paper dolls. Release your inner fashion designer! Create dresses, shoes, purses, puppies on leashes, or anything else your dolly desires. Preserve your finished masterpieces, and the memoirs, in a frame or scrapbook. Is your mom a writer who would like a critique of her memoir-in-progress? Does she appreciate art, jewelry or photography? Click on over to the Pens for Paws auction for unique gift ideas! Several items are already on the auction block including my Winter’s Frost necklace. The Chocolate Royale necklace will be up soon with more items to follow in the next few days. Like any auction, the bidding moves quickly so keep you eye on the podium! for pictures of these necklaces see this previous post. Share your Mother’s Day ideas with us!